There are times my life where I come across an item and wonder how in the world I ever lived without it. The Glambox is one of those items. My love affair with this brand started when I saw one in all of its acrylic glory on the bathroom vanity of Kyle Richards of the RHOBH. I started following GLAMbox on Instagram and instantly knew I needed one in my own bathroom stat. 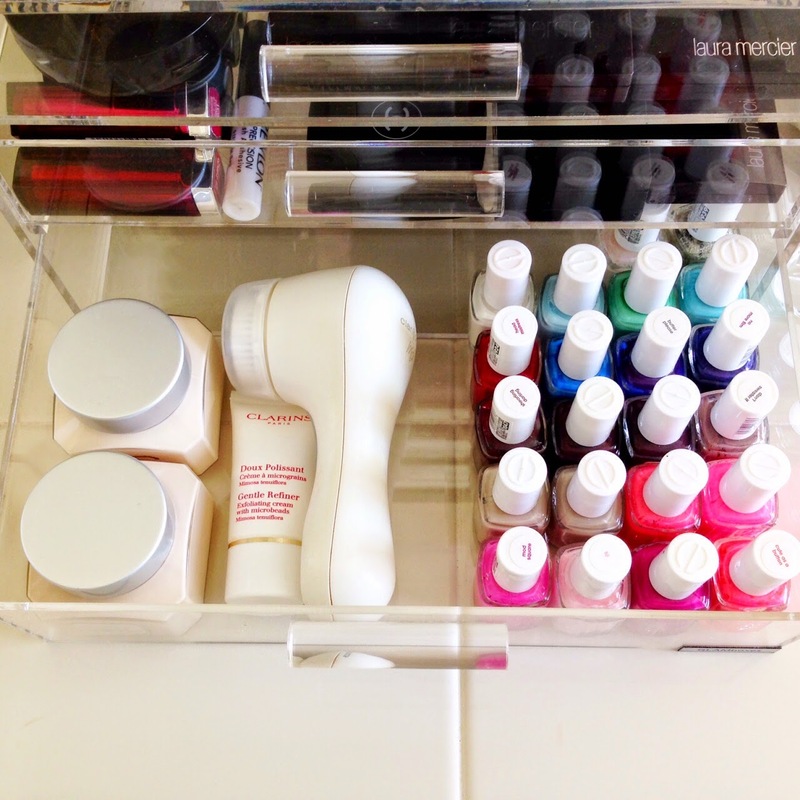 Ever on the search to find ways to organize my life, I discovered that the GLAMbox is the holy grail of cosmetic and beauty organization. 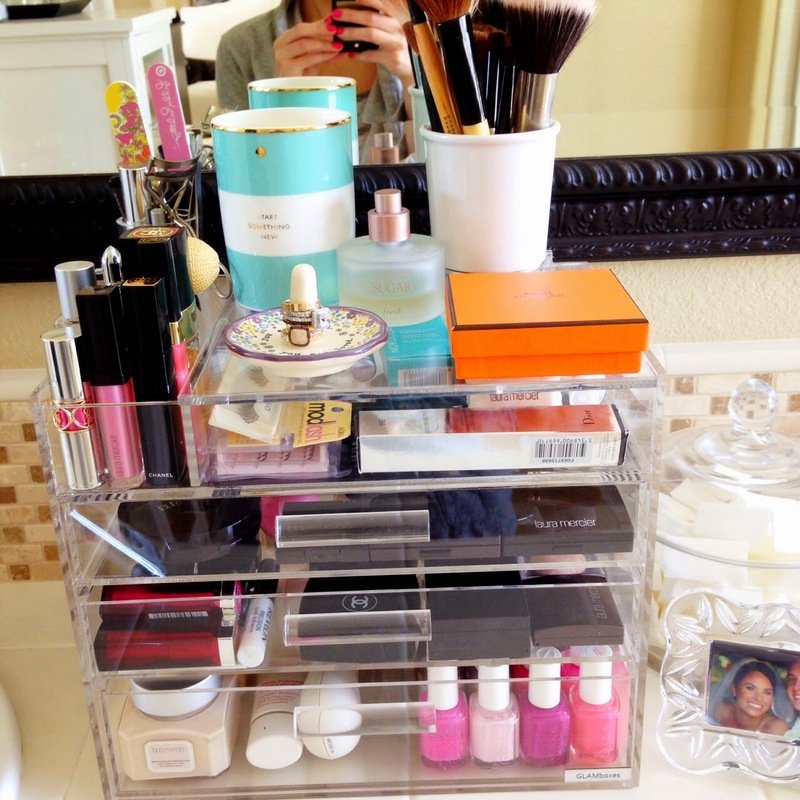 There are many options to choose from- I chose the Glam Petite and as of today have consolidated three drawers and one cabinet of cosmetics, beauty product and nail polish to ONE PLACE. I’m still in shock by just how much can fit in a GLAMbox and how much space has been freed up in my bathroom by this process. 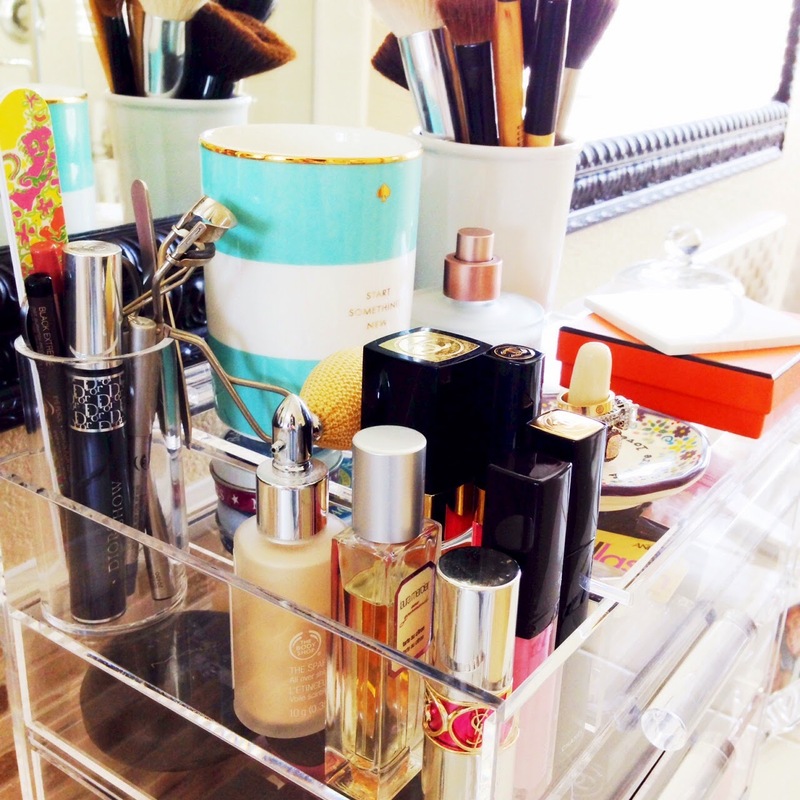 GLAMbox has a motto which is: ‘if you don’t see it, you don’t use it’. This could not be more true. 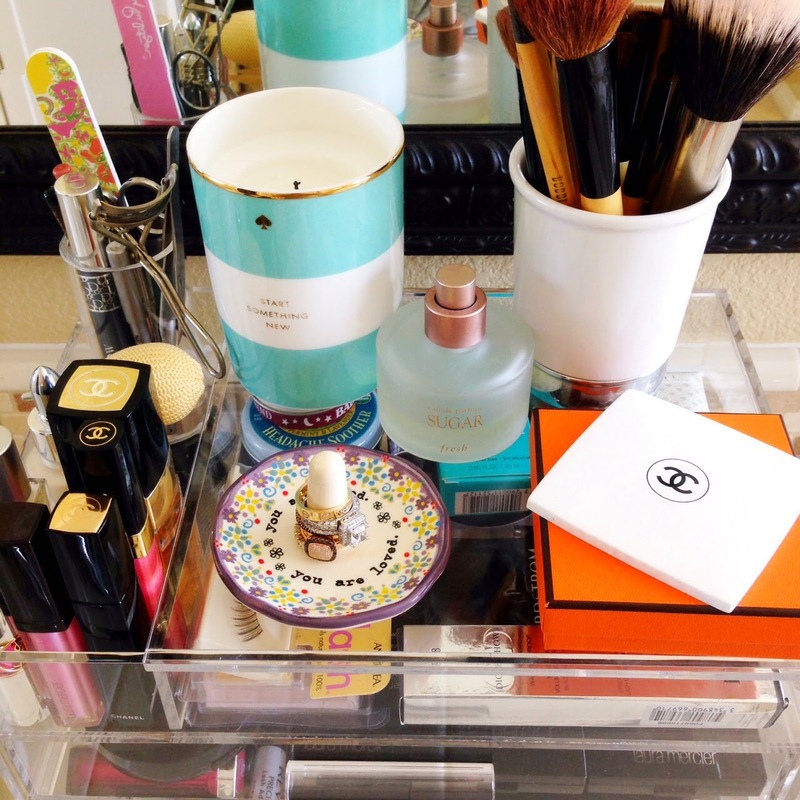 As I was putting mine together I came across amazing beauty products that were wasting away in one drawer or another because they simply got shoved under or behind something…like a NEW Chanel eye palette that had not been used! The horror! You simply must check out their website- they have amazing jewelry and accessory organizers in addition to their cosmetic boxes. As if you needed more convincing, each and every GLAMbox is handmade in the beautiful USA and the company is owned and operated by a glamorous WOMAN. What more could we ask for? Have a glamorous week and as always, thank you so much for reading! 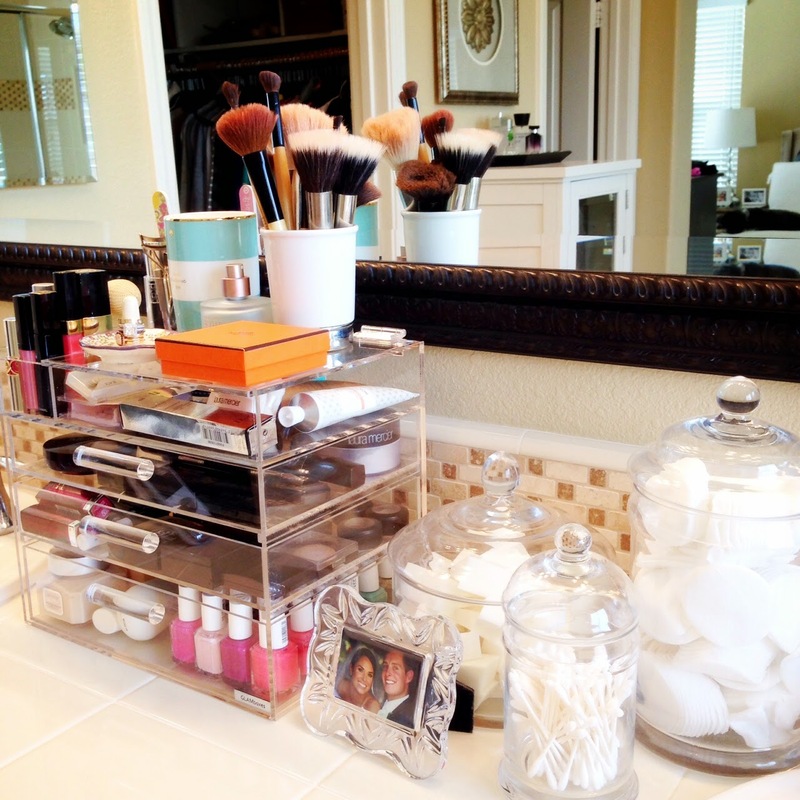 I love the way you have this set up! 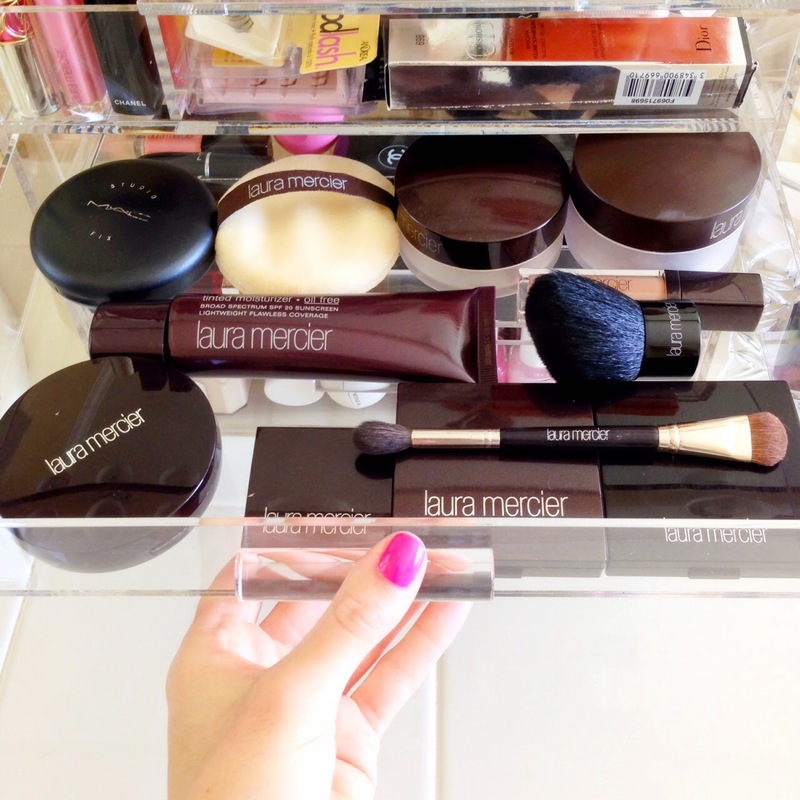 Looks very put together without product overkill!